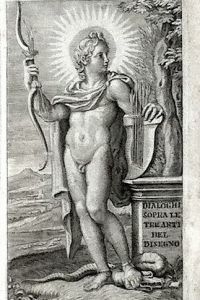 In 8vo; cc. 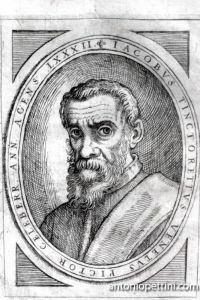 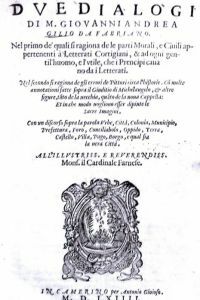 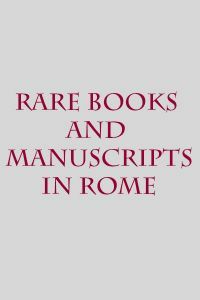 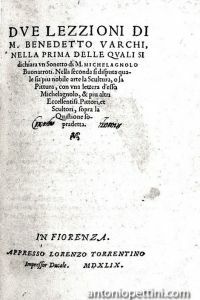 44, a woodcut typographic mark on title and lastpage, xylographic initials; on title page a possession notedated 1586 and more manuscript entries; many captions andcontemporary underlines that show this copy as a scholar’sor artist’s one. 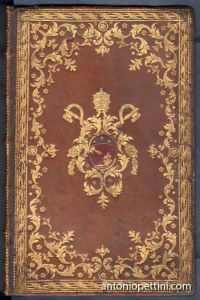 Coloured boards binding. 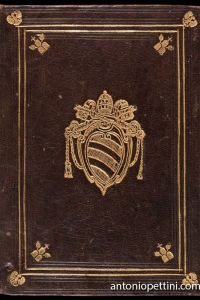 Some light restorationson edges of some leaf. 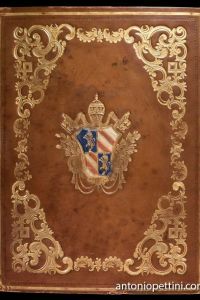 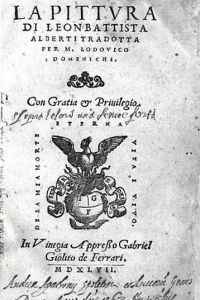 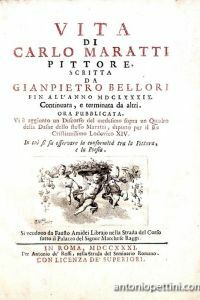 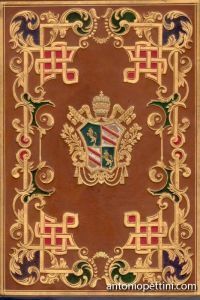 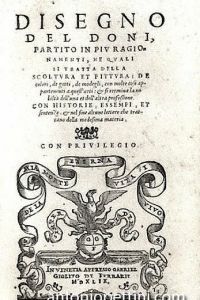 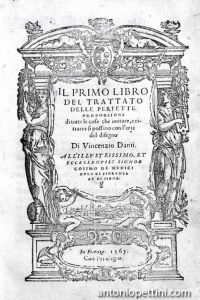 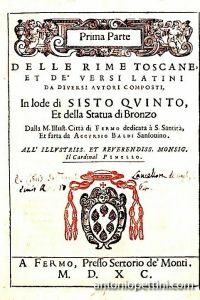 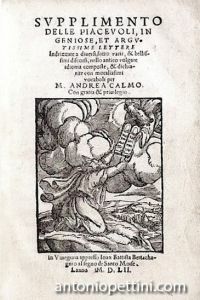 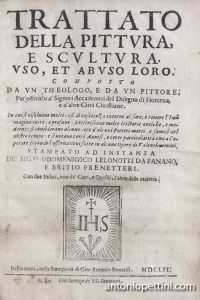 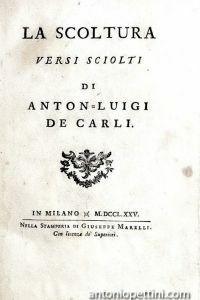 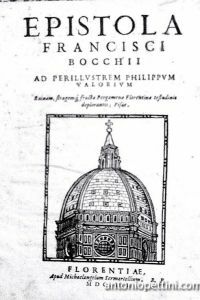 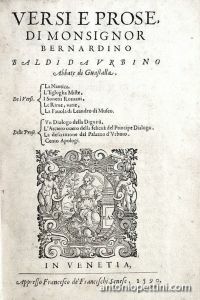 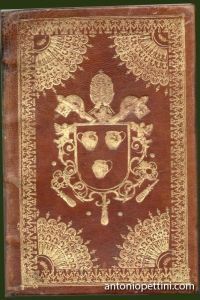 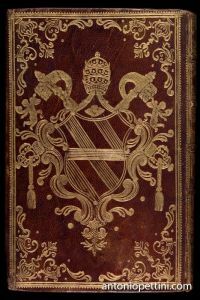 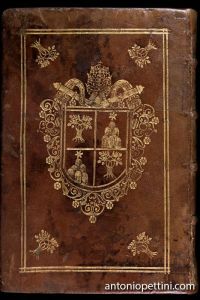 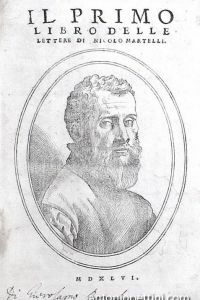 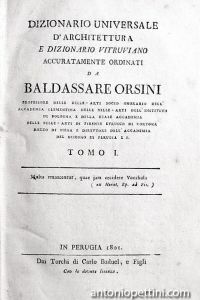 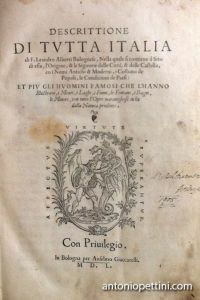 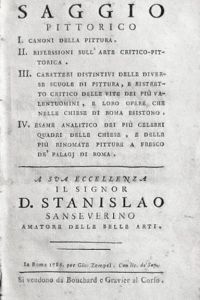 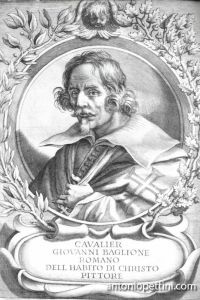 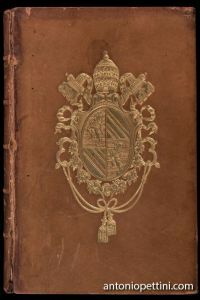 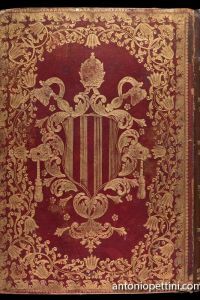 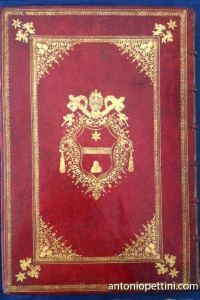 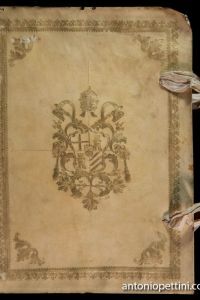 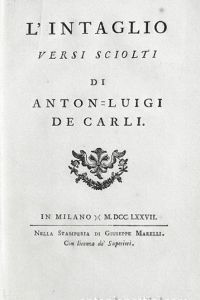 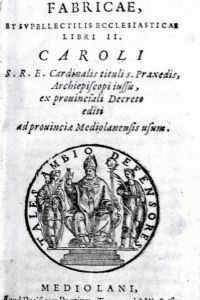 The first Italian edition of the basic Renaissance perspectiveessay. 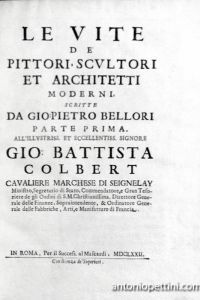 Alberti sets up in this text the knowledge rules topainters of “cut and surface”, i.e. 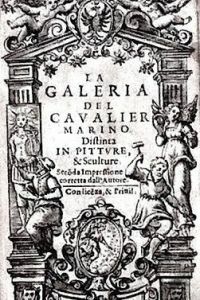 the visual pyramid theory,of colors, of painting history, of the three things that “makeperfect the painting, inscription, composition and to receive light”. 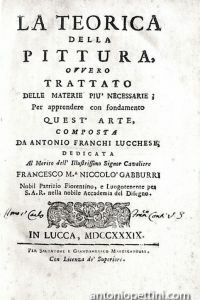 The “De pictura is a basic theoretical work of exceptionalsignificance in the perspective history; for the first time, absolutely,the still young big humanist shows in it the conceptualrules of the new science and shaped the objectiveprospectic work as an intersection of the visual pyramid, havingits summit in the eye and its base included in the apparentshape of the observed object” (Vagnetti). 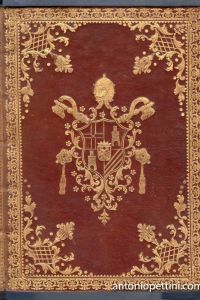 Fowler 15. 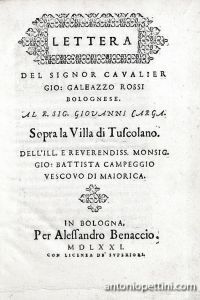 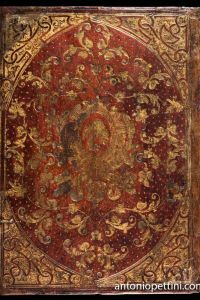 Cicognara 388. 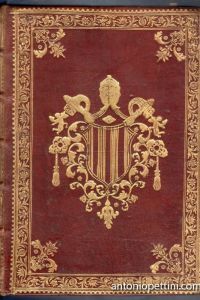 Schlosser p. 125, 127, 155. 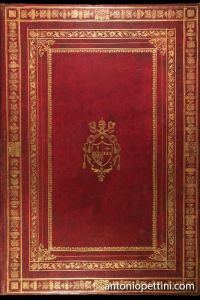 VagnettiFowler 15. 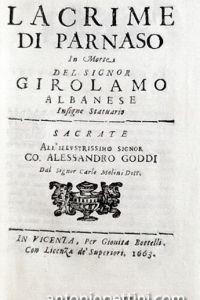 Cicognara 388. 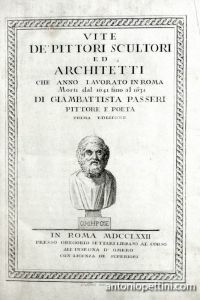 Schlosser p. 125, 127, 155. 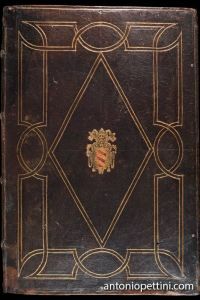 VagnettiElb4.